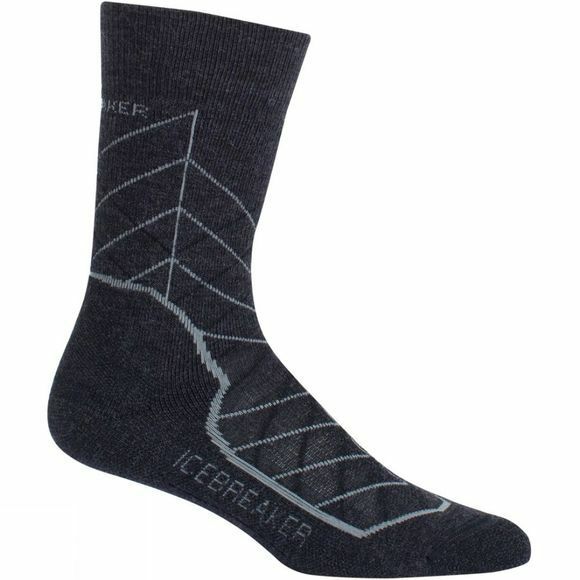 The Womens Hike+ Medium Crew Metric Sock from Icebreaker are a go-to for thermal regulation, breathable comfort and moisture management on trail outings of any length. These cushioned socks blend soft merino wool with nylon for durability and a touch of Lycra to retain their stretchy, contoured fit. The reinforced heel and toe areas add to the long-term durability, and our seamless toe closure wards off blisters on high-mileage days. We also added an anatomical design, sculpted cushioning, and strategic support and breathe zones to maximize comfort and fit.